The National Information Technology Authority, Uganda (NITA-U) has had sight of the article published in the media on 5th February 2019 where it was reported that Uganda Law Society petitioned the Constitutional Court seeking the declaration of two sections of the Computer Misuse Act No.2 of 2011 null and void. As the Authority responsible for the coordination, supervision and monitoring the utilization of Information Technology in the public and private sectors, we wish to provide the following guidance to the public. The Computer Misuse Act creates the offence of cyber harassment, which is the use of a computer in making obscene or indecent requests or threatening to inflict injury to any person or their property. The anonymity and ease of communication provided by the Internet make cyberspace the ideal roaming ground for people who wish to harass others. Prior to this legislation a victim of such harassment could only find limited protection in the right to privacy guaranteed under the Constitution, the offences of threatening violence, and criminal libel under the Penal Code Act, Chapter 120 and defamation and private nuisance, under tort law. These were, however, limited in scope for instance a key ingredient of defamation is publication to a third party therefore it would be ineffective in a scenario where the harasser only communicates directly with the victim without publishing the words to a third party. Therefore, Section 24 provides broad protection to the individual from obscene and lascivious communication and from threats. This section of the Computer Misuse Act prohibits the willful and repeated use of electronic communication to disturb the peace, quiet or privacy of any person with no purpose of legitimate communication. This provision is rooted in the right to privacy guaranteed under the Constitution. The offence of “offensive communication” was introduced in the Computer Misuse Act to restrict or veto “hecklers” in online environments who have no legitimate purpose for their communication. If such offences are removed from the Act, such behaviour will go on untamed considering the increase of electronic communication in Uganda. NITA-U wishes to urge the public to use online platforms responsibly to promote communication and e-transactions and to be aware that there exists legal consequences for the misuse of such platforms. The Computer Misuse Act is one of the three Cyber laws that were enacted by Parliament in 2011 to protect the online community. 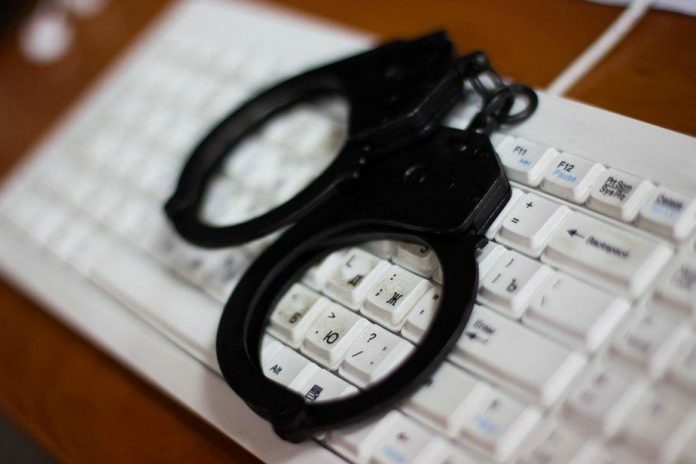 The said law was well thought out by the legislators and is based on international best practices, such as, the Budapest Convention on Cybercrime. Therefore, this law is not unique to Uganda since similar laws are existent worldwide in other countries. Steven Kirenga, Head of Marketing and Communications at NITA-U, said that ‘Uganda was recently has been ranked as the most secure cyberspace in Africa in the Global National Cyber Security Index. Previously 2nd in the 2017 ranking, the elevation to the number 1 spot continues to be exciting news for the nation. The National Cyber Security Index is a global index which measures preparedness of countries to prevent cyber threats and manage cyber incidents.